Panagiotis Gionis has wowed table tennis fans with his defensive qualities for many a year and spectators heading to Montreux, Switzerland for the upcoming China Construction Bank 2018 ITTF Europe Top 16 Cup, which takes place from Saturday 3rd to Sunday 4th February, will have the chance to see the Greek in action. Competing at the event for the fifth occasion, Panagiotis Gionis is hoping to replicate his successful campaign from three years ago in Baku, Azerbaijan where he achieved a third place finish but wants to wait until the draw has been made before evaluating his chances in Switzerland. Since his impressive performance at the 2015 edition of the competition Gionis has failed to negotiate the first round, finishing ninth in 2016 and 2017 when the tournament was hosted in Gondomar and Antibes respectively. Many of the continent’s strongest table tennis players will be on display in Montreux with the top three seeded positions being occupied by Dimitrij Ovtcharov, Timo Boll and Simon Gauzy. Seeded 14th, Gionis enters the event as somewhat of an underdog but the Greek competitor, who celebrated his 38th birthday in January, believes that he can still provide a challenge for the rest of the player field and is hoping to see a couple of upsets at the weekend. Watch the defensive mastery of Panagiotis Gionis live in Montreux. 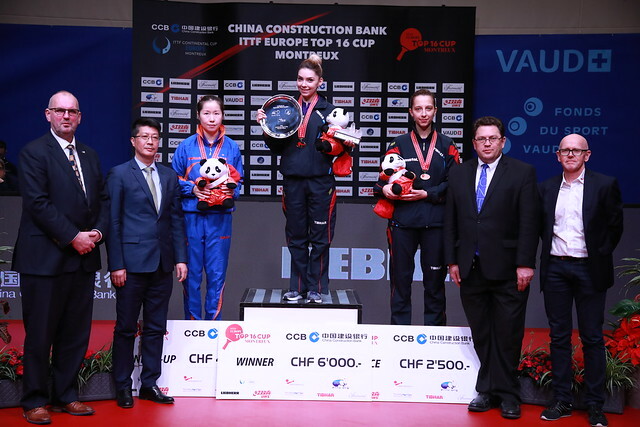 Buy tickets for the China Construction Bank 2018 ITTF Europe Top 16 Cup here.